Back in 2013, Ellen Page accused The Last of Us developers of ripping off her likeness in the video game. “I guess I should be flattered that they ripped off my likeness,” said Page. 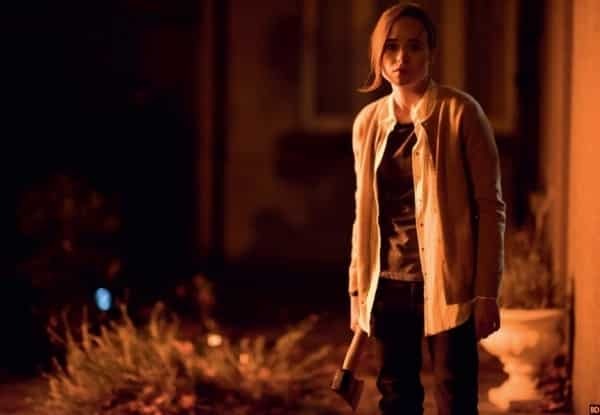 “But I am actually acting in a video game called Beyond: Two Souls, so it was not appreciated.” Now, the American actress is starring in a very different type of zombie film that focuses on a post-zombie society, much like the one in The Last of Us. Set in Dublin, The Cured, a new horror drama, seems to offer a bit more social commentary than the average flick. Scientists have found a cure for a disease that turned most of mankind into zombies. But how do a group of humans who have preyed upon others find their way back into society? Would you trust a rehabilitated zombie? This is the premise and the hard questions asked in The Cured. The even bigger question is whether or not the film is an actual cure to the current state of the zombie genre. Let’s hope so. On that note, The Last of Us 2 doesn’t have a release date as yet. And, thankfully, based on the footage we’ve seen thus far, Ellie no longer resembles Page so closely. The Cured also stars Sam Keeley, Tom Vaughan-Lawlor, and Paula Malcomson and marks the feature directorial debut of David Freyne. FC Films has set The Cured for release on February 23. J.K Simmons should be in it too. He’d be a good Joel character.